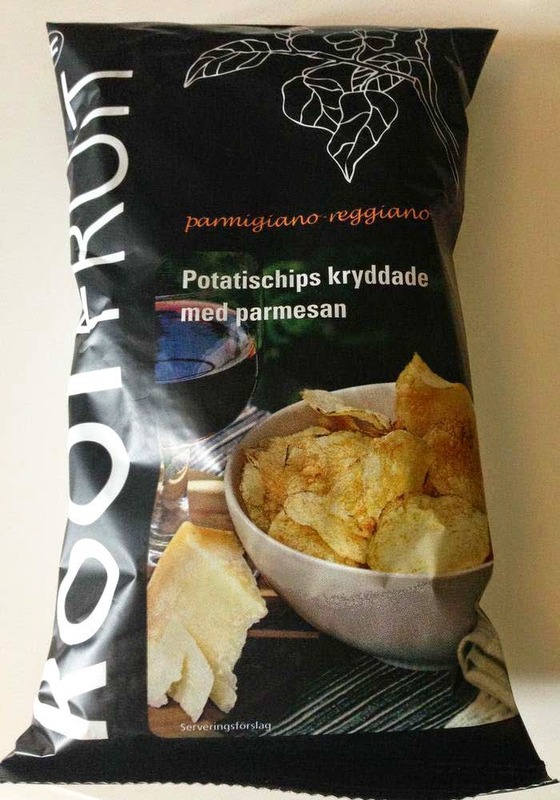 Potatischips kryddade med parmesan, crisps flavoured with parmesan cheese, is another crisp product from Swedish, artisan crisp manufacturer Rootfruit. 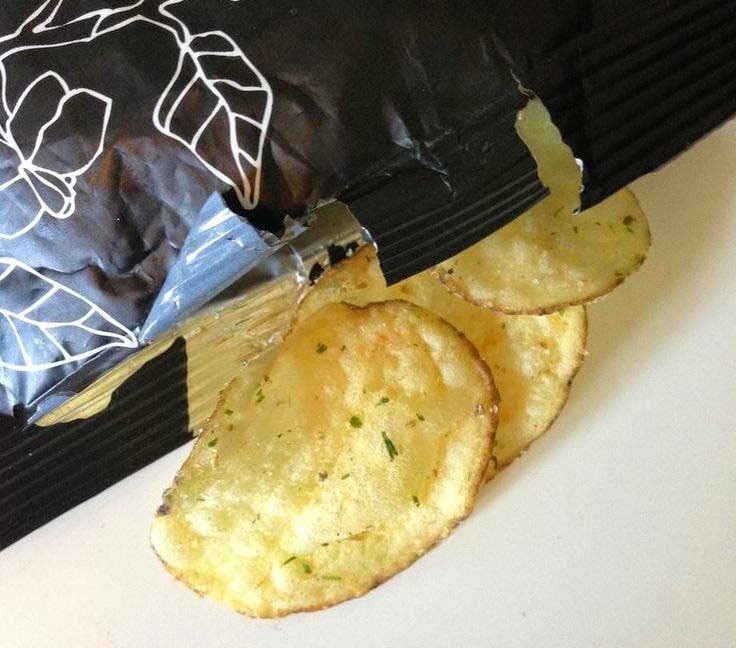 The umami flavoured crisps from Rootfruit I tried last time was pretty tasteless. But the parmesan variety was the opposite and very tasteful. You can clearly taste the parmesan with it's salty cheese taste and there is also hints of onions. They also smell of cheese.